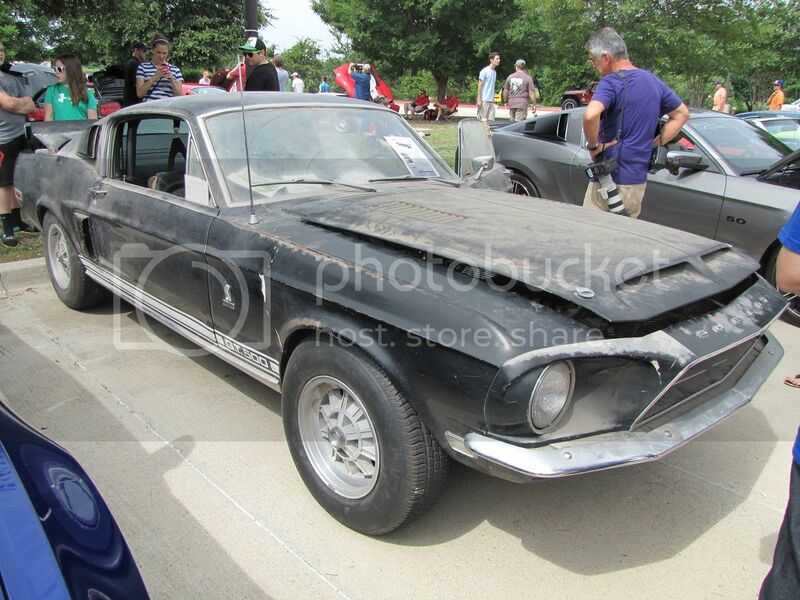 Ford Shelby GT500 Forum > Ford GT500 Discussions > General Discussion > ['07-'14] ‘68 GT500 barn find up for auction. ‘68 GT500 barn find up for auction. 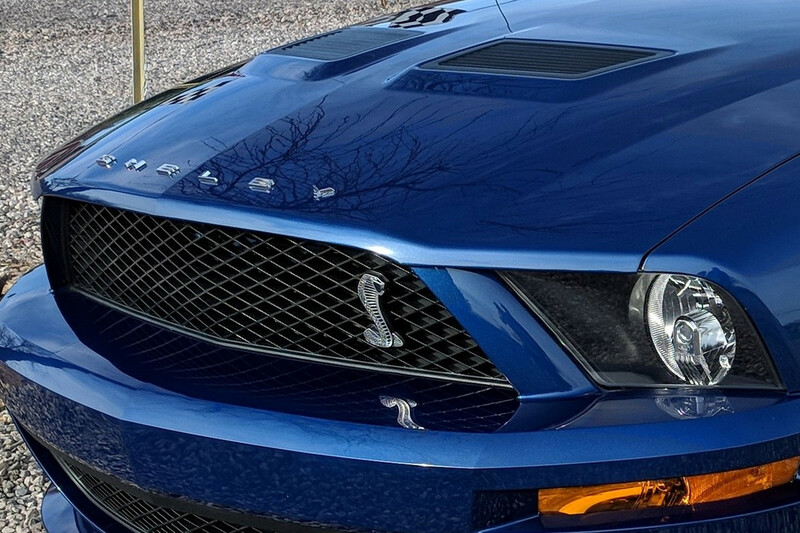 As soon as I saw the picture in the article, I knew I had seen this car at the Legacy Bank Shelby/Mustang Show in Plano TX. The big mud dauber nest stuck to the driver’s window was a giveaway. 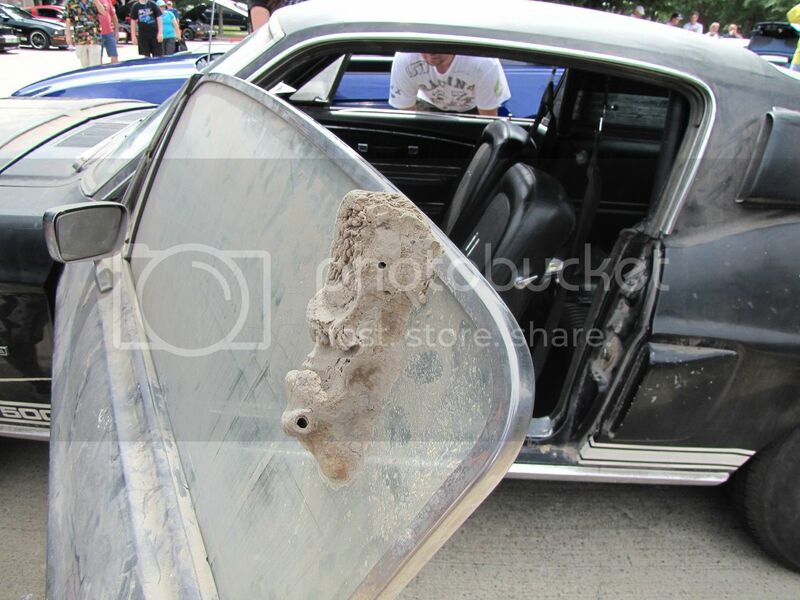 Re: ‘68 GT500 barn find up for auction. "... a man has got to know his limitations ..."
Goose17 and OMB like this. 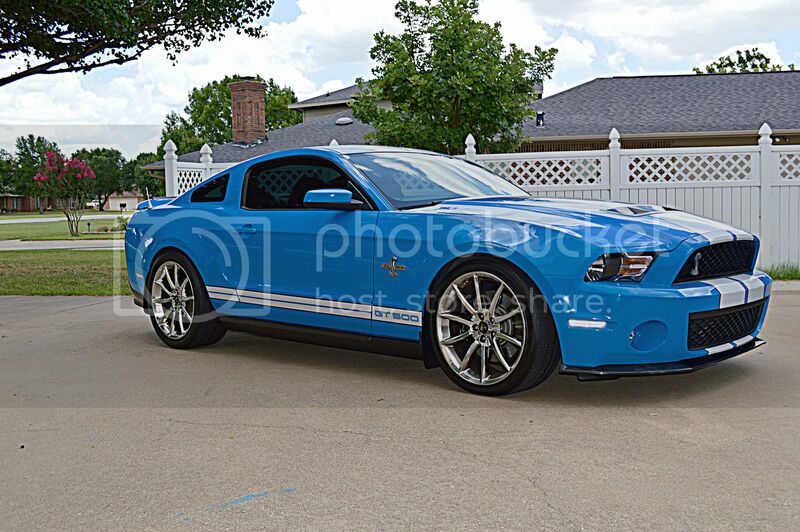 2010 Shelby GT500 #256 of 3532 and #59 of 523 in Grabber Blue. VMP Gen II TVS, VMP Twin Jet 67mm throttle body, Grabber blue JLT 123 CAI, 56 lb. injectors, Ford Racing headers, VMP dual fan triple pass heat exchanger, JLT battery, brake and fuse box covers in Grabber blue, BPS polished fuel rails, BPS polished coil covers in Grabber blue. Totally Smurfed out!! Yuk. I am no longer excited about filthy barn finds. Don't want to restore it? Fine, wash and wax it and get it mechanically perfect. Then drive and enjoy it. I would love to have one of the seller's birds tho. blackcad55 and MrMax like this. You and me both... Not to mention that this car had lost its original driveline somewhere along the way.. So what the heck are you "preserving", other than some past owner's neglect? These dirty barn finds are compelling and exciting when they're discovered. But post-discovery, when the owner decides to "leave it that way", it's just kind of a pathetic freak-show to me, a ploy that is more about getting attention, rubber-neckers, than it is about saving history. Thirty years ago, a famous and beautiful young actress goes missing... Just disappears. Thirty years later, she is discovered. She was kidnapped, shoved into a dirty out-building with a dirt floor, and left there with only the bare necessities for survival. The person who finally discovers her though... Does not liberate her... He doesn't even allow her to bathe... Nope, he puts her in a cage, and rolls her out on display at county fairs and parades so that the public can gasp, and jaw-drop, and revel in the enigma of what was once a wealthy and beautiful star, now aged, older and in such a ragged/desperate shape. Discovering a rare/valuable old relic in a barn or shed is ALWAYS compelling and interesting and exciting to me. I can even understand the desire to not cosmetically restore or alter (even though I have my own thresholds of when to restore, and when to leave alone). But mud-dobber nests and dirt and filth? That I don't get whatsoever, that equates to "freak show" to me. A car is a car, and cars start, run and drive. At bare minimum, just as 2112 suggests, you clean her up and get mechanically sorted. At maximum, it's a great restoration project. 03reptile, 2112, blackcad55 and 1 others like this. At least run it through a $3 car wash, take it to MAACO and have it sprayed... and drive the piss out of it! I pretty much agree with the sentiment above. However, what’s great about cars is we all have different tastes. Whether it be wheels, stripes, color, mods or in this case DIRT, we each take our cars in directions that suit us. Having seen this car in person, I can attest that the dirt most definitely drew attention that an otherwise clean but run-down ‘68 GT500 would not have. There were quite a few GT500s from that era in the show that all looked fabulous and this one in all of its “dirt glory” was an attention getter. I don’t think this car was registered and driven around like that. It was simply taken to shows for the “barn find shock” effect and it worked. I personally couldn’t handle the dirt in my garage and would be compelled to clean the car to the Nth degree, but I respect what the owner was doing and enjoyed seeing the car in its current state. I couldn’t tell you any details about the other 60s GT500s I saw at the show, but I definitely remembered this one. but I definitely remembered this one. Hey I have a really great IDEA !!! Last edited by 'cause; 04-09-2019 at 01:32 PM. I talked to this guy at the Legacy Shelby show and asked him when he was going to restore it. He said I’m not. I just said ok then and moved on shaking my head. I guess he can't leave it out in the rain. It must go back to the barn on inclement days. 2112 and kazman59 like this.